Before the New Year, we love to look back on our favorite beauty trends of the past year. Refinery29 and celebrity manicurist, Steph Stone, recently put together a list of their top nail shades of 2016 and they loved a neutral charcoal gray. A deep gray is the perfect winter neutral and will match any of your looks. They especially love Zoya in Tris if you are looking for a charcoal with extra shine. Tris can best be described as a brushed nickel liquid metal. With a new year, comes new trends and Refinery29 is sharing their top 2016 nail polish trends to try now! 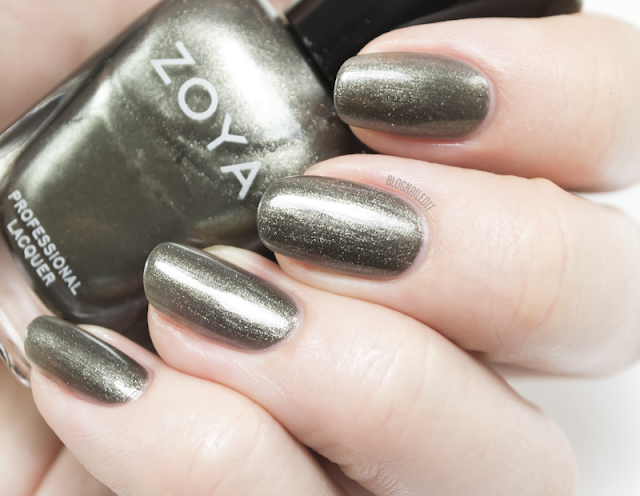 Featured as a trending shade is Zoya in Tris – a blackened, brushed nickel liquid metal. Are your nails on trend for 2016? Send in your manicure photos using #EverydayZoya to be featured on our website! Fall is here, and with so many gorgeous shades to try this season, Her Campus wanted to make it a little easier to choose. Zoya in Tris was features on their Top Five Fall Nail Polishes. Tris is a beautiful shade for fall with so much depth. You won’t be able to take your eyes off of her! When you head into the salon, it’s always overwhelming to choose your nail color when hundreds are staring you in the face. To make your salon visit easier, StyleCaster shared the best nail colors for fall straight from the top manicurists! Charcoal gray is a top pick among manicurists as a great way to go for a sophisticated look this fall. A shade to try is Zoya Nail Polish in Tris – a blackened, brushed nickel liquid metal. What shades are you looking forward to rocking this fall? Share your nail looks with us using #EverydayZoya!